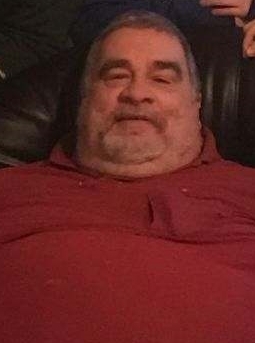 Frederick Earl Parent, age 59, residing in Waterford, formally of Waukesha, passed into the arms of the Lord on January 16th, 2019 at Burlington Hospital peacefully surrounded by his family. Born March 29th, 1959 by parents Frederick Charles Parent and Helen (Reith) Parent. Previously married to Colleen Anne Gallagher. Graduate of Easy Troy High School and proud to remain an alumni sports fan his entire life. He had a passion to travel and view any kind of sports function known to mankind. He was survived by his son Derrick and his wife Amanda (Stachelek) Parent and his grandson Aiden James Parent, Sister Kathy (Matt) Steensrud. Uncle to Sean and Sydney Steensrud Frederick is further survived by his brothers Perry (Karen) Erb and Michael (Karen) Erb, and his nieces and nephews Matthew, Mindy (Mike), Tanya (John), Robert (Nichole), and Laura. Preceded in death to his Parents Fred and Helen Parent as well as many Aunts and Uncles, Cousins, Grandparents and friends that were dear to him. Memorials to Family are appreciated. Donations accepted directly through Integrity Funeral Services or by a gofundme page link provided below. A celebration of Frederick life will take place on Friday January 25th, 2019 at Riverglen Christian Church (S31 W30601 Sunset Drive Waukesha, WI 53189). Visitation will be from 4:00pm to 5:45pm, followed by a 6:00pm memorial service.